Size: 10’h x 18’w x 9’d. Materials: painted steel, stainless steel, hand-made ceramic tile, Oregon grape and hops. This project creates a peaceful oasis for recovering patients and their families outside the hygienically sterile interior of the Burn Center. 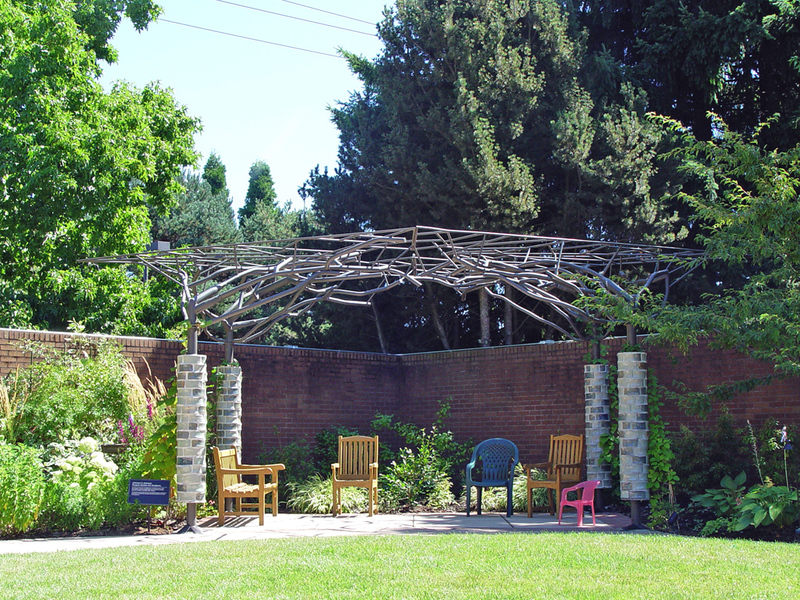 The pavilion, located at the far corner of the garden, establishes a physical and metaphorical destination point for patients as they move through the recovery process. The biological processes of regeneration and growth inspire the pavilion’s form. 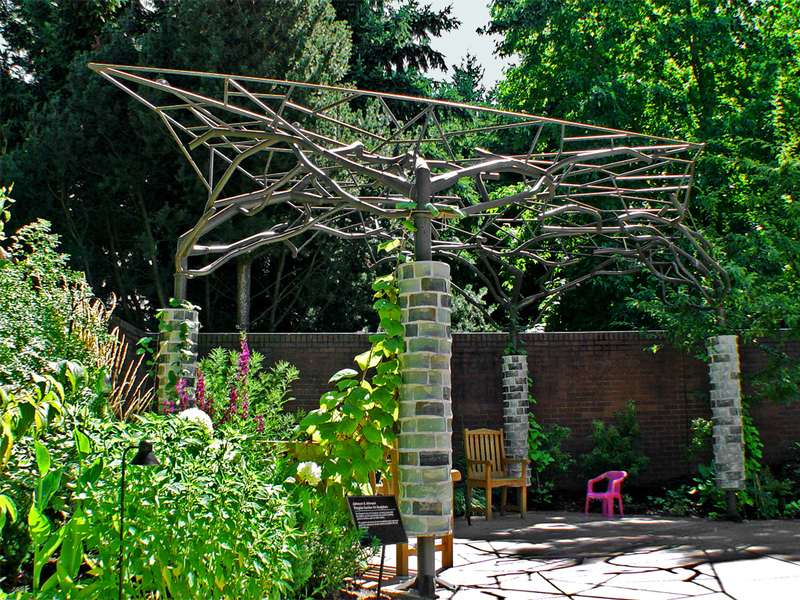 Four columns rise and grow toward one another to form an arching canopy of interwoven metal branches. 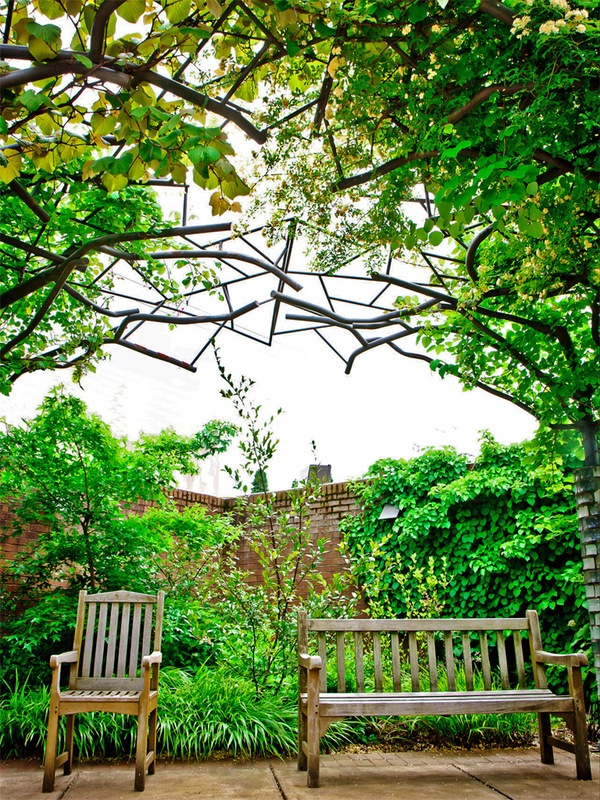 This canopy supports hops and grapevines that provide necessary shade through the summer months. The structure is fabricated from non-combustible steel and painted in a non-reflective, shadow-like color. The color is selected to reduce the glare patients might suffer when transitioning from the low light of recovery rooms. 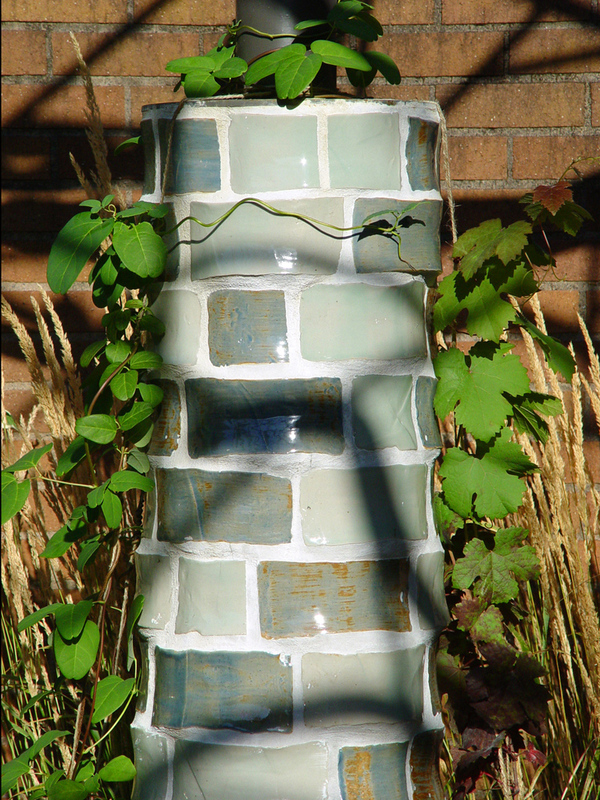 Special handmade tiles wrap the columns at the level of the body to reduce heat from the dark steel. These tiles are glazed in a subtle blue-green color scheme. The unique surface imperfections of each tile refract light to create cool, watery surfaces.